It can be hard to know where to start when beginning weight training. There are countless exercises you can do, lots of equipment that you can use, and loads of info on the internet that may confuse you even more. 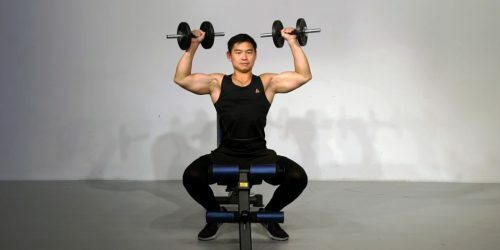 In this article, we will share the basic guidelines, rules, and recommendations for starting out in a weight training programme; whether it is for strength, weight loss, lean muscle gain, or just overall fitness. It is a must to join a gym. No, there are lots of benefits to working out at home, besides it being free, convenient, and private. A bodyweight workout can be as effective as a gym workout, if performed correctly with the correct intensity. 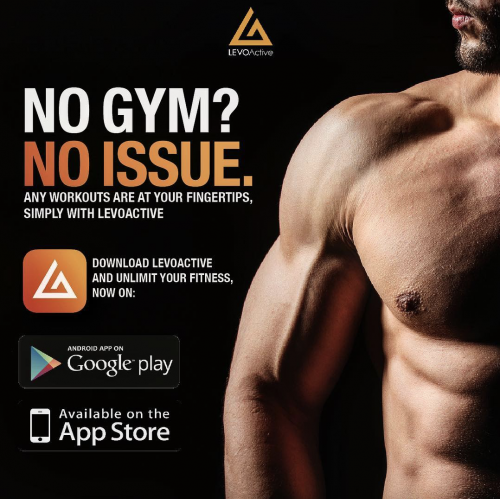 There are sample bodyweight workouts on LEVO Active app that you may like to try. It is a must to use free weights or machines. No, anything that provides resistance can do the job. For example, resistance bands, a heavy backpack, even a water bottle. Should you like to try a resistance band workout, you may check out our sample resistance band workouts on our LEVO Active app. You will look too bulky if you start weight training. This is a misconception especially for women, who worry about building huge muscles once they start weight training. The actual reality is that women do not produce a large amount of testosterone, which is the hormone necessary to build big muscles. As such, women will not be able to build big muscles, as compared to men. Start with a short, simple, full body routine. Your goal as a beginner is to perform a full body routine, twice a week. This will help you build a strong foundation and allow you to progress from week to week. Warm up! Perform 10 minutes of cardio or some warm-up sets of each exercise in your workout using a light weight. This is crucial to thoroughly warm up the muscles and for injury prevention. 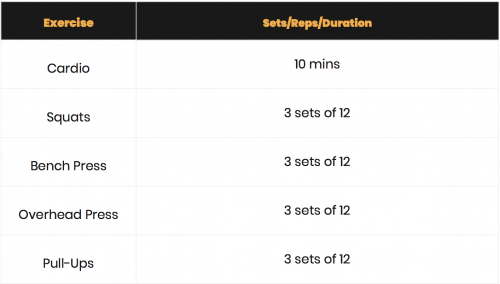 Start with compound exercises at the beginning of the workout. Compound exercises are exercises which work a few muscle groups at one time. These are the “bang for your buck” exercises and will allow you to produce the biggest results in the least amount of time. Focus on form. Maintain proper form throughout the workout. Pay attention to your posture (stomach in, chest out), move the weights slowly using the muscles without relying on momentum, and remember to breathe. Rest Rest days are crucial for recovery, building lean muscle tissue and preventing injury. Your muscles grow during rest days, not during the workout. Have at least one day of rest in between your workouts. Change things up. Performing the same workout day in day out may be boring and mundane. Change things up by trying new exercises, varying the order of exercises performed, or even varying the reps and sets performed. Track your progress. 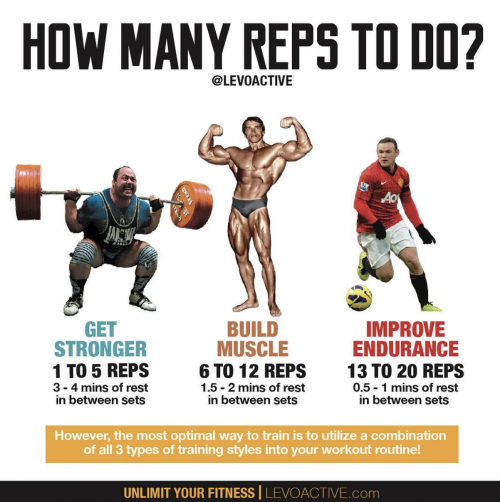 Keep a training log of the number of reps, sets and weight used for each exercise. Progressive overload. Progressive overload is the key to weight training and muscle growth. Try to progress on a weekly basis by adding more reps, more sets, more weight, or having a shorter rest time between sets. Good nutrition. Make sure that you are having a good balance of protein, fat and carbs. Good nutrition is crucial in fuelling the muscles. In addition, ensure that you drink at least 2 litres of water daily. Muscles are made up of 70% water, so drink up! If you don’t know much about weight training, consider hiring a personal trainer. 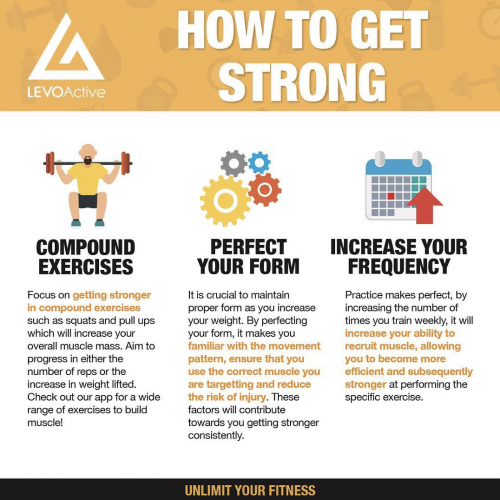 LEVO Active provides personal training and online coaching services in Singapore to guide you and help you to achieve your fitness goals. Feel free to contact us for more enquiries. 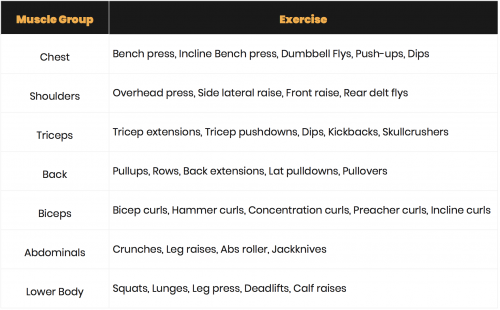 Below is a list of muscle groups along with some sample exercises. For a full body workout, try to choose one or two exercises for each muscle group. For beginners, you should use enough weight that you can complete 10 – 12 reps, for 2-3 sets. The final rep should be difficult, but not impossible. Aim to rest between 60-90s in between sets.